Groupon provides daily deals via email that are tailored by location. This model is similar to that of Woot which makes daily offers of limited availability products on its blog. Lately, Groupon has grabbed lots of media attention due to its revenue trajectory. Using email backed by social media, Groupon offers special deals in a variety of US cities. Its $25.00 Gap offer for $50.00 worth of merchandise on August 19th generated a quick $11 million bump in sales. But just how profitable this promotion was for the Gap remains unanswered. While consumers benefit from deeply discounted products and services, what’s in it for merchants? To effectively use services like Groupon, you must use careful business and financial analysis to develop your marketing tactics. According to Compete, coupons can be helpful. Here are five quantifiable benefits to consider before deciding to commit to this marketing method. Building a customer list. Will offering your product and/or services via this marketing service build your house file by introducing you to new prospects that you wouldn’t otherwise have gotten? Or at a lower cost than you would have paid? 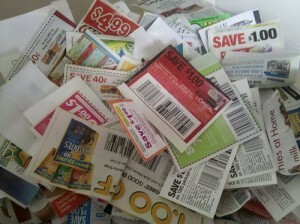 Can these coupons be tracked effectively through the use of codes? Giving away product that requires refills. Does the promotion give customers a product that requires purchasing of other products and/or services from your firm? Think in terms of giving away the razor to sell blades. Utilizes quiet business periods. Can you time the promotion to drive sales during otherwise low sales periods? This works well for businesses with high fixed costs since it helps to smooth the sales curve and helps your firm utilize spare capacity that would otherwise be wasted. Helps build customer lifetime value. Does using this promotional service help you acquire new customers cost effectively while creating positive lifetime value? Incidentally, a service like Groupon has a low barrier to entry since it basically relies on its strong house file. In addition to numerous look-a-likes, major online players can easily imitate this model. These players have relationships with large audiences that should be relatively easy to leverage for similar offerings. Among them are Facebook based on its high usage, Fourquare based on its location information, Yelp based on its local reach, and Amazon based on its ownership of Woot. As Groupon continues to expand and attract attention, more firms will develop similar offerings. This is serious threat to Groupon, as its advertisers can always switch to well positioned competitors. While consumers today are more focused on seeking out the best price and value through coupons, it’s important to ensure that you’re able to give your prospective customers a good experience or they won’t return. Even worse, they may talk about their poor service. What do you think of using this type of daily coupon distribution service to merchandise your business? If you’ve had experience with Groupon or a similar service, how did that work out for you? Please share your input via the comment section. For a full analysis of Groupon’s potential, check out TechCrunch. Tags groupon, Promotion. Bookmark the permalink. My experience so far has been great with both Groupon and kgbdeals… I had an issue with LivingSocial but they solved it decently fast. Ditto for customer lifetime value… I actually became a very loyal customer of a small business through one of these deals.